Recap: 4th Street Promenade What the Truck?! The JLS Night Market has rebranded as Night Market Edmonton and returns this summer in a new location: Beaver Hills House Park (Jasper Avenue & 105 Street). The market will operate every Friday night from June 6 to August 29, 2014 from 7-11pm. Though I haven’t heard the term “Super Saturday” used this year, Downtown will be one rockin’ place this Saturday with the Pride Parade coming through. 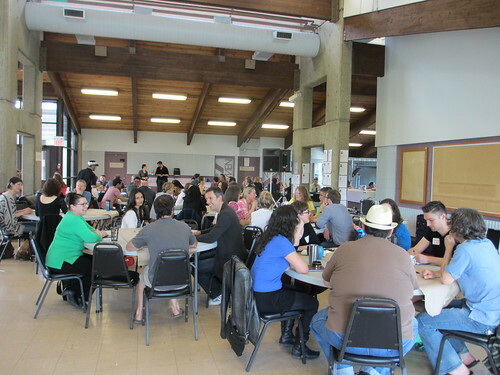 But before then, start your day off at the Downtown Edmonton Community League Pancake Breakfast, taking place from 8:30-11am at our new league space (10042 103 Street). Alternatively, Oliver is also hosting a breakfast by Duchess Baker that same morning, a kick-off to their annual Oliver Community Festival. A reminder that the Red Shoe Crawl is taking place in Old Strathcona on June 8, 2014! They updated the list of businesses you can expect to visit, amounting to nearly two dozen. Tickets are still available. The Italian Centre is celebrating their 55th birthday with a party on June 14, 2014 at their Little Italy shop (10878 95 Street). I’m looking forward to the outdoor screening of the Italy vs. England World Cup match. Should be a good time! Also June 14, 2014 is the next Hawker’s Market at the Mercer Warehouse. Porkapalooza released more details about their first annual festival, running June 13-15, 2014 in Hawrelak Park. Tickets to Baconfest, taking place on July 4, 2014 at the Arts Barns, will go on sale June 4, 2014. Although tickets are necessary for the indoor component, there will be lots of free/no admission activities outside as well! Fort Edmonton Park has a cool new feature where you can pick up a pre-packaged lunch basket from the Johnson Café at the Hotel Selkirk – perfect to take and picnic on the grounds outdoors. The big news this week was the announcement that after a decade, the Wild Tangerine will be closing at the end of June. Transcend will be anchoring the new Mother’s Market (revised opening date: June 20, 2014) with an in-house café. Robyn had the chance to check out Popbar’s first Canadian location at West Edmonton Mall. An interesting piece in the New York Times about food truck associations south of the border. It looks like Tutti Frutti will have Menchie’s bookending it on (and just off) Whyte. 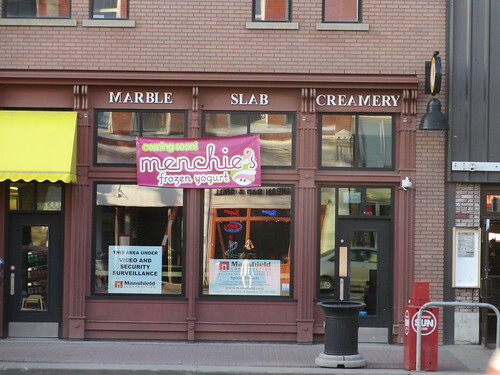 Another Menchie’s is moving into the Marble Slab vacancy. Mack and I spent the weekend participating in the third annual Good Hundred Experiment, a gathering of about one hundred people, all involved in projects that somehow better the community. The crowd was diverse, and endeavours ranged from environmental to political to artistic. It was a learning opportunity to hear about some of the wonderful things going on in the city, and to network with people I’d never met before. Kudos to Nadine and Tad for their wonderful facilitation and planning skills – getting strangers to feel comfortable with one another is not an easy task, but I feel that they more than accomplished that by getting conversations to flow and connections made. Bravo! 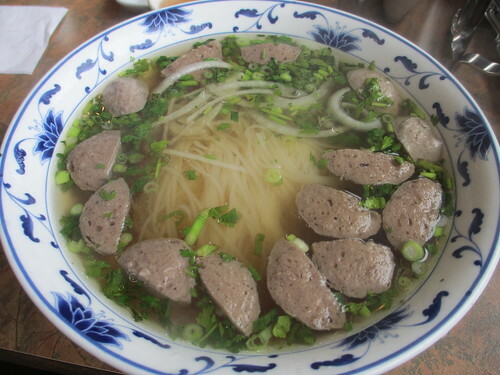 I had been craving pho all through our Toronto trip, but was not able to satisfy that craving. So of course, I made a beeline for Pho Tau Bay not long after returning home. 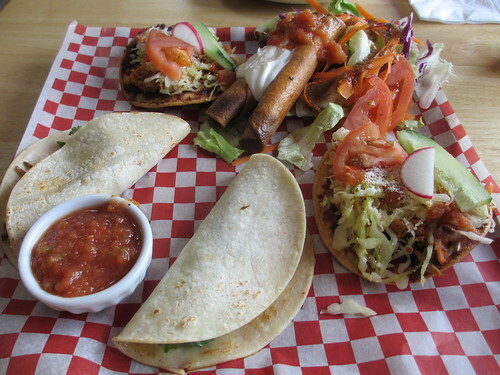 It’s been too long since our last visit to El Rancho – the Amigos Platter hit the spot! Our What the Truck?! team met up at The Next Act tonight to plan our event coming up on June 13, 2014. 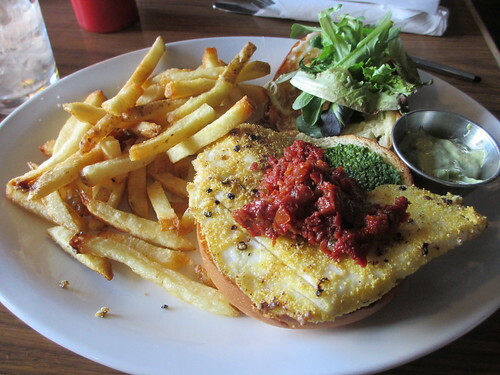 It was my first halibut sandwich of the year, but I’m sure – not my last.